This is a Personalized Cheer Charms Best Coach Bracelet, for Number 1 Coach. 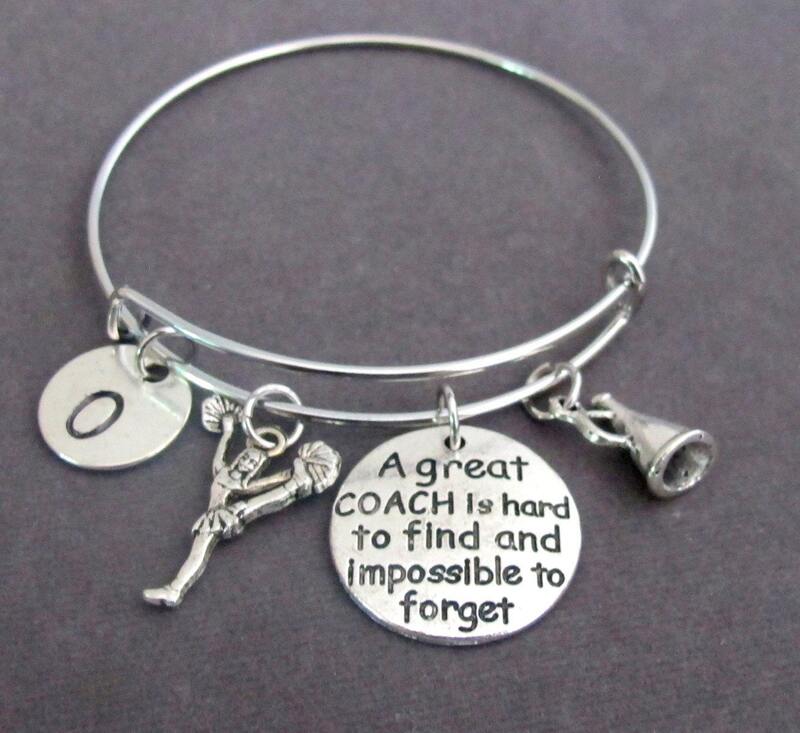 A perfect Admiration gift for your coach to appreciate her skills. Silver Plated Expandable Bangle Personalized with the Initial of the Recipient. Bought 2 bracelets as gifts for cheer coaches and they came out beautiful! They loved them! The persoanlization with the team name was an extra nice touch! Seller was very responsive to questions and shipping was fast! Thank you! I love the bracelet. Will definitely order again. Thank you for doing a great job and being professional. Shipping was fast and the bracelets were perfect for my daughter's coaches.